He’s the highly-rated winger who’s lined out for Ireland since U-15 level but such have been the performances of Aston Villa’s Jack Grealish that England came calling. 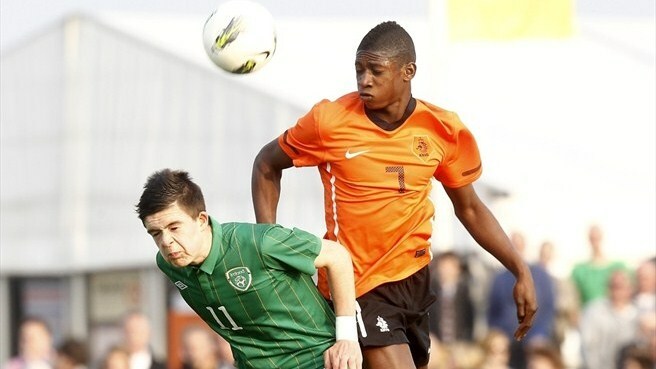 Believed to have considered a switch in allegiances, in a massive boost to the Republic, the 17-year-old has accepted a call up to Noel King’s U21’s for this week’s Euro qualifier. After an exciting pre-season where he’s appeared for the club’s senior side, Shelley Osborne of Villa supporters’ site My Old Man Said takes a closer look at the rising Irish star. 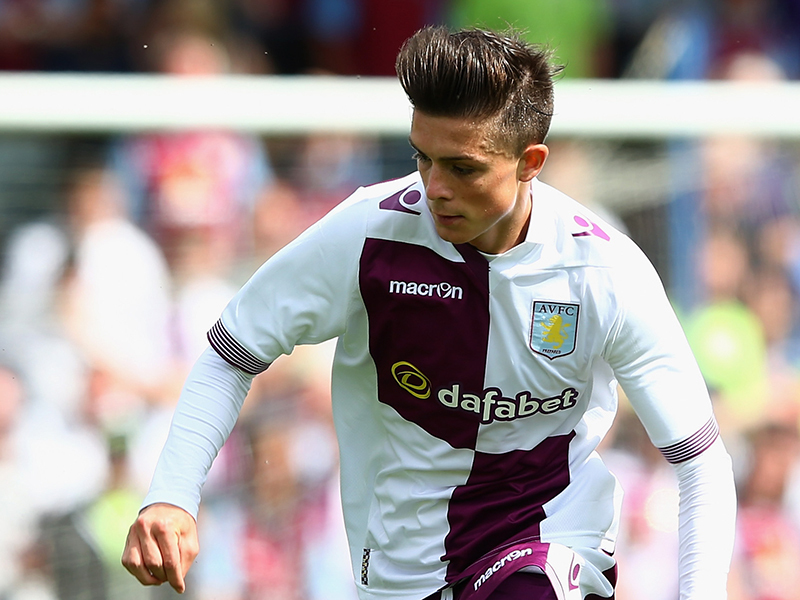 If there’s been one highlight of Aston Villa’s pre-season so far, it’s been the emergence of the hugely promising 17-year-old, Jack Grealish, who joined Villa at just six-and-a-half years old. Making his debut in the 2-2 draw away at Wycombe Wanderers, he followed up an impressive display a week later by coming on to bag his first goal for the first team in the 5-0 rout of Walsall. Grealish is perhaps most well-known in his career so far for being pressured into making a tough decision between Ireland or England. Young Jack grew up in Solihull to an Irish family, and therefore it is no real surprise that he chose to play for the Republic to join the impressive Irish contingent at Villa’s academy. Grealish’s style does not resemble a traditional English winger, as his attributes are more associated with those of a continental wide player. The boy is a leggy winger with a mesmeric ability to keep the ball close to his feet. He keeps his head up and attacks mainly down the left side or cuts inside into the number 10 position. The most exciting thing about Grealish’s game is his ability to look so effortless in control, and to possess so much intelligence for a 17-year-old. He is not the type of winger who you will see with the steam rising from their flanks as they burst up and down the wing ‘putting in a shift‘. Grealish has shades of the ethereal grace of a Mesut Ozil or Isaac Cuenca with the intelligence to see a pass and the skill to beat a man, and create a chance for the team. There’s flashes of Cristiano Ronaldo-esque flurry of quick feet, or more frequently, he reverts to the lazy effortless strut of a player completely at one with the ball, who can simply drift past opponents without expanding much effort. Grealish was named Ireland’s under-17 player of the year for 2012 and the down-to-earth Birmingham lad recently kindly gave away his boots to a fan whilst in Hong Kong after a barn-storming 7’s tournament. Grealish is less pacey than your typical winger, so it remains to be seen whether he can make the step up to the frantic tempo of the Premier League, but in his corner is the fact he has goals in his locker. Oddly enough, the youngster is related to Aston Villa legend and former England international William “Billy” Garraty, who is Aston Villa‘s 8th all-time goal scoring player with 112 goals in 259 games. Perhaps it’s no surprise therefore that Grealish seems to know where the back of the net is. Villa fans will be hoping that the youngsters name will also be on the lips of the likes of Sky Sports’ Alan Smith and Jeff Stelling before too long, if he his successful pre-season with the senior squad continues. Visit My Old Man Said, the award-winning Aston Villa supporters publication and ultractive group.